We are proud to present the winners of the Annual Game Music Awards 2012. These panel-voted officially recognised awards provide a thorough and wide-reaching recognition of achievement in game music over the last year. Congratulations to all winners, runners-up, and nominees. Spirited, diverse, and detailed, the score for Nintendo’s Kid Icarus: Uprising blends bold new orchestrations with tributes to the franchise’s 8-bit roots. The best of several outstanding 3DS productions released this year, and an example of an ensemble score done right. Whether appreciated in-game or on-disc, Journey is a wondrous aural experience that ascends to the realm of the spiritual and mystical. Austin Wintory’s much-decorated soundtrack is a major artistic breakthrough for game music. The dynamic, sprawling music of Runic Games’ Torchlight II constantly offers new combinations of timbres and moods, yet remains focused and well-integrated. One of the best fantasy soundtracks in years, and the culmination of Matt Uelmen’s work to date. The soundtrack for From Software’s Armored Core V is filled with eclectic sounds and audacious experiments. Clearly not constrained by convention, Kota Hoshino’s mechanised hybrids sound unlikely on paper, but are wonderful in execution. Dust: An Elysian Tail boasts an imaginative soundtrack from Northern Ireland’s HyperDuck Soundworks and guest contributor Alexander Brandon. Despite its vast scope and eclectic approaches, the entire soundtrack has a very warm, personal centre. Completing a hat-trick for Austin Wintory, “Nascence” is the exposition of Journey‘s recurring main theme. Perfectly encapsulating the game itself, the track immerses listeners with its subtle, intimate, and ever beautiful progressions. “The Breeze at Dawn” combined the dynamic composition and radiant orchestration of Cris Velasco, with the co-composition, thoughtful lyrics, and angelic vocals of Jillian Aversa. An incredible ending theme for SoulCalibur V and a convincing demonstration that vocal themes can belong in a SoulCalibur title. Like most of today’s big-budget shooters, Ubisoft’s Ghost Recon: Future Soldier boasts ultra-realistic sound design. Where it stood out was its dramatic integration of such effects, spanning immersive ambient soundscapes to shattering gun noises. The excellent audio of 343 Industries’ Halo 4 was wrapped up by some superb voice acting from a mixture of new and returning cast members. Emotional and convincing performances brought a more personal dimension to the series’ narrative, especially the love story between Master Chief and Cortana. Followers of this site have waited for a decade for a piano album dedicated to the NES trilogy of Final Fantasy games. Jam-packed with favourites, rich with lavish stylings, and boasting virtuosic performances, Piano Opera Final Fantasy I / II / III from Hiroyuki Nakayama is well worth the wait. Blistering rock performances, epic cinematic orchestrations, jazz and funk improvisations, and nostalgic FM tributes all combine on Falcom Boss Zanmai. This diverse, well-produced tribute to Falcom’s iconic battle themes is certain to entertain. Braxton Burks’ Kanto Symphony combines nostalgic melodies licensed from the Pokémon games with classically-styled cinematic orchestrations. With mature arrangements, polished implementation, and numerous highlights, it stands among the highest-quality albums ever produced by a fan. While Ubiktune released many excellent albums this year, it was the progressive solo album by founder Dmitry Zhemkov (aka C-jeff) that left us awestruck. Brilliantly composed and implemented, Preschtale takes listeners on an epic journey jam-packed with exhilarating, tear jerking, and revelatory moments. The final instalment in Haruka Shimotsuki’s Tindharia trilogy is a feat in storytelling and music creation alike. Combining colourful compositions, beautiful vocal performances, and an engaging narrative, this concept album is magical and emotional from start to finish. The Bare Knuckle Original Soundtrack is the latest in a well-produced series of compilation albums from SEGA. It includes the complete soundtracks in the Streets of Rage trilogy, extensive exclusive content, and a well-presented booklet featuring a foreword by Yuzo Koshiro. Namco have produced innovative, iconic soundtracks ever since the early 80s. A vibrant group of veterans and newcomers, Namco Bandai’s sound team continue to create wonderful soundtracks today, among them Tekken Tag Tournament 2, Touch My Katamari, Ridge Racer, and, in part, SoulCalibur V.
Assassin’s Creed III, ZombiU, Ghost Recon: Future Soldier, and I Am Alive are just a few of the games published by Ubisoft this year. All boast high-quality hybridised scores that reflect the publisher’s wider artistic vision. Christopher Lennertz and Tim Wynn’s scores for Starhawk, The Darkness II, and Mass Effect 3 considerably differ in their compositional approach. Yet they all boast outstanding quality in all aspects of music production  from composition and orchestration, to recording and mixing. A few flops aside, Square Enix’s internal label has shown it cares about fans with its numerous releases. They have presented their soundtrack releases consistent well, produced concert recordings of astonishingly high-quality, and, best of all, made several dream arranged albums become a reality. 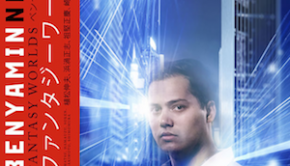 A redux performance of a highly successful Cologne production, Symphonic Fantasies Tokyo attempted to refine what many described as unsurpassable. By combining more polished, fleshed-out scores with the majestic performance of the Tokyo Philharmonic, the team certainly succeeded. 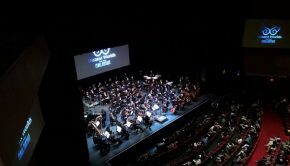 Building on last year’s anniversary concerts, The Legend of Zelda: Symphony of the Goddesses has developed into a fully-fledged multi-city tour. the four-movement symphony format has proven a particular success, giving attendees the opportunity to fully relive their experiences of each game. Journey‘s masterpiece soundtrack provided Austin Wintory with much attention and awards this year. His subsequent release Horn further reflected his artistic vision, showcasing the iOS’s capabilities with intimate folk performances and full-blown orchestrations alike. One of the industry’s rising stars, Jonathan Geer went beyond the call of duty on every project he was involved in this year  whether the sweeping orchestral score for puzzler Azkend 2, the jazzy meanderings of Cook, Serve, Delicious, or the eclectic accompaniment to the shelved Neptune Gasoline. Pianist Jem Harding sent spines tingling with his virtuosic performance of SoulCalibur V‘s “Blood Thirst Concerto”. Commanding, brooding, and dazzling, his performance brought out all the drama of Cris Velasco’s source composition and perfectly captured the character of Raphael. 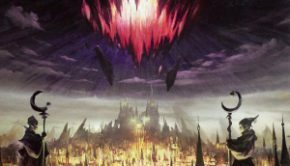 Under the baton of Philip Chu and the supervision of Hiroaki Yura, the orchestra, choir, and soloists of Eminence proved an incredible collective force throughout the soundtrack for SoulCalibur V. Elysium’s “Sacred Dawn” is a spectacular culmination of their efforts. Described as the ‘Grandfather of Video Game Music’ for good reason, Koichi Sugiyama has been responsible for an astonishing number of firsts. He created the first substantial RPG score with 1986’s Dragon Quest, developing the sound of gaming and establishing the “Eight Melodies” template. The classically-trained artist also single-handedly conceived the first game music orchestral albums and concert performances with the studio and live performances of the Dragon Quest Symphonic Suite. Among other achievements, he developed an enormous diverse discography and gameography, inspired the Orchestral Game Concert series, and mentored major composers including Nobuo Uematsu. Now 81, Koichi Sugiyama is still going strong. The partly retired composer no longer works on wider projects like he did during the 80s and 90s, but he remains dedicated to the legacy of Dragon Quest. Remaining the sole composer of the series, has retained the series’ classically-influenced style and signature themes right up to 2012’s Dragon Quest X. Sugiyama also conducts several Dragon Quest concerts in Japan every year, including the annual Family Classic Concerts, and regularly releases new suite recordings and arranged albums for the series through SUGIlabel. Tommy Tallarico and Jack Wall have exposed video game music to the masses like few others. As co-creators of Video Games Live, they have entertained audiences in hundreds of shows across the world  from North America to Brazil, London to Dubai to Tokyo  with an immersing combination of audio, visual, and interactive components. Over seven years, these shows have emphasised how culturally significant video games and their music have become. The grand vision and synergistic relationship of Video Games Live‘s co-founders has proven a major key to its success. Both artists are also successful video game composers, each owning production companies and having numerous credits to their name. Tommy Tallarico gained mainstream attention with his rock ‘n’ roll stylings and catchy themes for Virgin’s classics and the Earthworm Jim series. 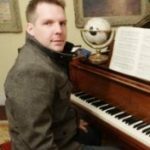 Having renewed his focus on scoring, Jack Wall has produced award-winning cinematic scores for modern franchises such as Mass Effect, Myst, and, most recently, Call of Duty. Both have contributed to wider causes, co-founding the Game Audio Network Guild together and authoring tracks on charity albums such as Play for Japan. While Wall and Tallarico are not currently working together, they have left an incredible legacy together. Bandcamp enables musicians to promote and distribute their soundtracks directly to fans. For artists, the service has avoided the limitations of traditional record distribution and digital services such as iTunes  it’s open to everyone, easy-to-use, cost-effective, and highly adaptable all-at-once. For fans, the album provides avenues for discovery with its fast streaming services and competitive, name-your price models. At its heart, Bandcamp kicks down all the barriers and puts the focus on sharing the love of music. Since Ethan Diamond founded Bandcamp in 2008, it has grown to become the preferred distribution medium for many independent game musicians. 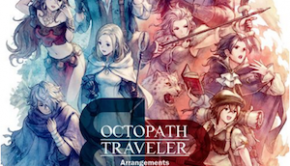 Among its many artists include Austin Wintory (Journey), Jake Kaufman (Mighty), Danny Baranowsky (Super Meat Boy), Laura Shigihara (Plants vs. Zombies), and C418 (Minecraft). Ever growing, even some industry veterans (e.g. Alexander Brandon, Graeme Norgate, Tim Wright) and Japanese artists (e.g. Shinji Hosoe, Kimihiro Abe, ASAGEN) have started to embrace the medium. In a short time, Bandcamp has revolutionised how artists share and fans discover game soundtracks, and hopefully it will only build on these principles in years to come. Posted on December 31, 2012 by Chris Greening. Last modified on March 9, 2014.